Focusing on youth development and social impact. Art has always been advocated as a medium of change, and in many ways, a necessity that shapes society in its freedom of expression and communication. It is this belief that Artsolute is founded upon - to design and develop programmes to empower the vulnerable while meeting the needs of specific communities based in ASEAN. Founder and Executive Director Terence Tan of Artsolute shares with us how it all came about. What is your own background in The Arts, and what made you want to pursue this route? I can't say I had much of a choice here, haha. I recall being always curious and creative, using whatever I could get my hands on to create montages and landscapes at home, but not having the opportunities to learn about the arts till I went to Junior College. Having developed some interest in acting, I went on to join Wild Rice's Young n' Wild programme, a two year course that allowed me some insight of what it takes to be a professional actor. Rather than continue that route, I went on to produce a few local productions where I got to know the wide range of a cultural scene, including its administrators, technicians, artisans, and crew. I was also taking my Honours and Masters degrees in Theatre Studies (NUS) at the time, and realised the gaps that needed developing so that young arts enthusiasts would have better opportunities for learning and development. So with a friend, I got a large group of musicians, actors, dancers, and visual artists together to stage a fringe-fringe young artists' festival, and then got on to assisting my former lecturer and the first Arts NMP, Audrey Wong. By then I was 28, and wondering what else I could do for myself, Singapore, and other local artists who deserved a platform of their own. Do your own personal journey of pursuing the arts influence the direction of Artsolute? The two main issues I faced was having no knowledge about the arts apart from music and film - as I had no exposure to museums or the theatre to know the significance of art in society - and the lack of finances or networks to pursue and develop these interests after I discovered them. Eventually, thanks to the opportunities my lecturers at NUS provided, I realised the gaps that lay in audience, youth, and artist development policies in Singapore. This resulted in Artsolute's core directions to use arts and culture for social development, especially where opportunity is lacking. Personally, I also loved puppetry as an art form because it didn't take many resources for artist and audience to share a leap of the imagination. It is both economical and fantastic, and a testimony to our relationship with the things around us. I've also wondered where Singapore is in the grand scheme of things, and why so much of our national narrative, our time, and resources are spent on military defense. For that reason, I thought it was only right that Artsolute stayed open to developing works and artists in Southeast Asia, especially in the field of puppetry for social and societal development. Share with us the beginnings of Artsolute. Artsolute started with the idea, by a couple of friends I was working with, that producers could do more for the development of young artists. One of the areas we were interested in was also, naturally, youth development, and later on, what kind of social impact and influence young people could lend. At the same time, the Goodman Arts Centre had just opened, therefore a studio/work space became a possible option. My experience volunteering with Audrey was also an influence, hence for a time, we were thinking of exploring audience and artist research, but very quickly we leaned towards practice, seeing the many advocates emerge in the same field. 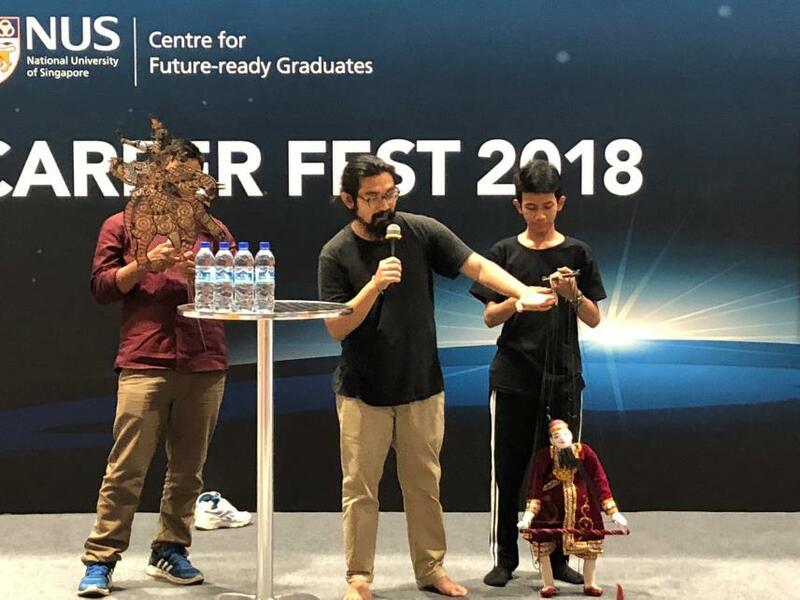 One difficult decision made, which turned out to be the right one, was to produce an ASEAN puppet festival in Singapore. While it didn't directly lend itself to young artists' development, its success led to a greater profile, especially in the field of puppetry, which led to our projects in local hospitals, disaster and poverty relief in Southeast Asia, and eventually, education for refugees. We kept inviting young and developing artists interested in community work and social good, so I suppose it worked itself out in the end. What quality of art makes it such an ideal choice to work with the community? The arts, as a creative medium, is less finite in what is considered good or right. Mostly because it is a highly subjective medium of communication, but I believe that's innate within us, to notice patterns, spaces, and gestures that are performative acts, whether or not it was successful or intentional. For the same reason, it's not a very good examinable subject, but I think that's alright, we're in a really volatile age anyway and we can't possibly predict the solutions of tomorrow with yesterday's measurements. Thanks to the need to frame an artwork/performance, acceptance and empowerment for all community members become possible. The act of drawing could be made special and interesting with some context behind the effort, and the process is appreciated as much as the art itself. And because it's simply a matter of framing, the artistic process could be quite inclusive for everyone regardless of economic status. And while not everyone may have the interest to create something, community bonds may be developed in the act of viewing and understanding as well. I understand that Artsolute's work started right here in Singapore, before expanding into the Southeast Asian region. What prompted the expansion? 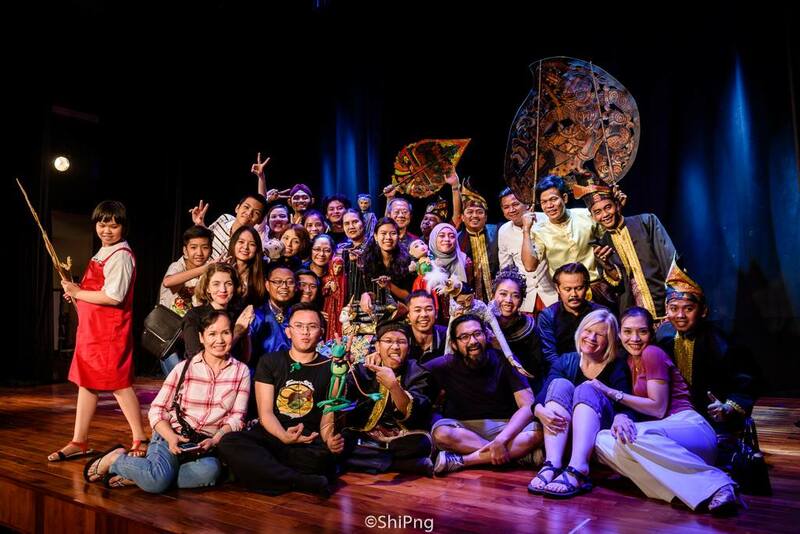 After the ASEAN puppet festival of 2012, it seemed the Southeast Asian puppeteers had much to achieve, and more to learn from our achievements in Singapore. At the same time, it was pretty clear that young audiences in Singapore had quite a bit to learn about the region we belong to and benefitted from. The festival also brought a few of us really close to our ASEAN neighbours, having worked together for the week. When typhoon Yolanda/Haiyan happened, it dawned on me we had much to give back. Since then, our work in ASEAN was fuelled by the constant creative and social development opportunities available. Nor was it difficult to seek youths in Singapore keen to explore and volunteer for some of the places they may have visited as student volunteers and youth leaders. Artsolute works with a range of art forms. Do you find that some art forms work better with certain communities compared to others? I would say its different circumstances. Naturally, interests in movement, visual arts, literature, theatre, music etc vary from person to person, but that's just personalities and aptitudes. But we don't really get to embrace the visual arts or film in a disaster-hit area, or music (effectively) in a hospital. In our limited experience, all art forms should be applicable to any community, and that's its universal appeal. What is the greatest strength of The Arts compared to other skill sets or crafts out there in the world? It's probably a little too broad to claim the arts as a definitive field, but I would certainly say that creative expression is one of the most important aspects of human development. Without first imagining something, we cannot improve our lives, whether it's a new tool, social norm, or national purpose. While it doesn't replace the imports and infrastructures that keep us moving, it gives us a sense of where we've been, where we are, and where we, as a society, are going. In the field of personal development, I would also say the arts helps any person find solace in themselves and others, whether through an imaginative or physical space. This, I believe, is great for overcoming, not just suppressing, personal anxieties and concerns. I also believe the arts is, by nature, a highly accessible and tactile process which reminds us of and develops the relations we have with ourselves and the physical world around us. Lastly, because it's so flexible in terms of how little or how much it takes to express ourselves, anyone can find or use the arts for their personal and interpersonal growth, with whatever resources they have, or any number of persons in a community. This makes the creative arts one of the most endearing crafts in social and personal development.